In a year filled with giant Triple A releases, it’s always refreshing to see a small developer come out with something different. 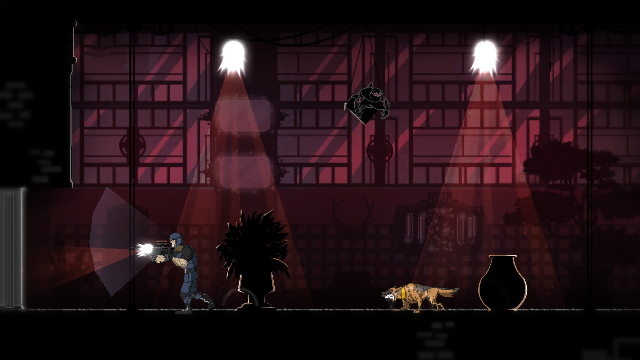 Mark Of The Ninja, developed by Klei Entertainment, is one such game. The developers behind Shank & Shank 2 have put out a 2D side-scrolling stealth game that aims to showcase the very roots of the genre. The result is a highly enthralling experience that sets an example for how modern stealth games should play like. Mark Of The Ninja’s story is nothing out of the ordinary. You’re a Ninja tasked with taking down an opposing enemy that threatens the existence of your own clan. To do that you’re given special markings on your body, using a particular type of ink, that heightens your senses and present you with incredible powers. While most the story is mainly presented through gorgeously animated 2D cut-scenes, there is additional background info to be found in scrolls scattered throughout the game’s stages. Regardless, the story of the game is not its strongest point as it consists of a fairly basic plot-line filled with predictable plot-twists. The gameplay of Mark Of The Ninja however is where the game really shines. Stealth is at the very core of the experience and I mean that in every way possible. There are a lot of stealth games out there that try, often unsuccessfully, to encapsulate what the genre is truly about. But Mark Of The Ninja gets it. Stealth is about reaching your goal without being detected using whatever means necessary. 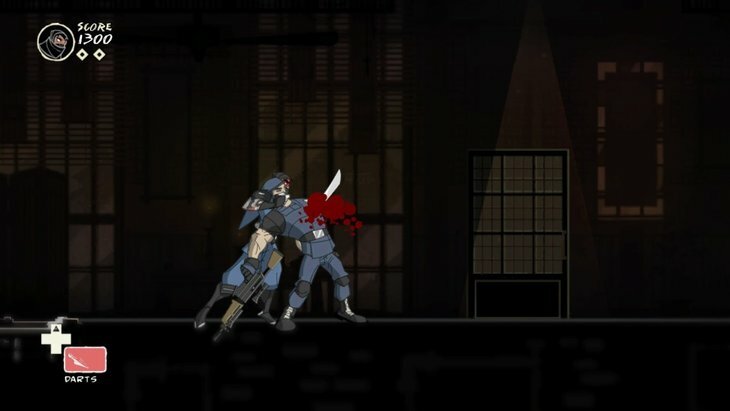 Mark Of The Ninja completely understand that concept by offering you the choice of sneaking your way through the whole game without killing a single soul, or killing every enemy you come across in the game. You will always find yourself with more than one path to go through and the game doesn't penalize you for choosing one style of stealth over another. 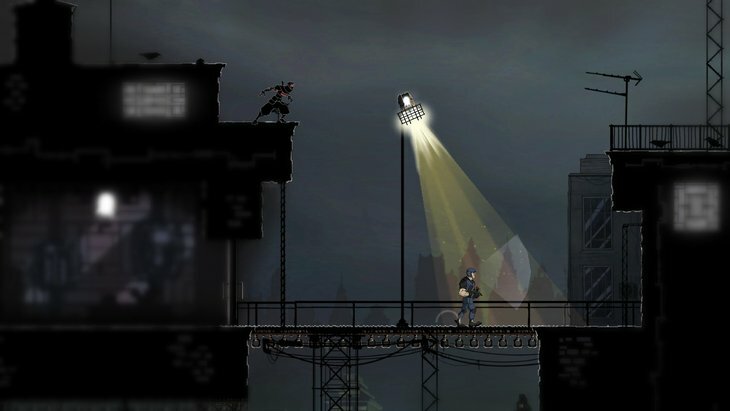 Mark Of The Ninja puts a huge emphasis on light and darkness. As a Ninja, the darkness is your friend. You are generally meant to hide in the shadows as being in the light exposes you to your enemies. Enemies in the game have a line of sight that is visible to you on- screen. There are certain things that can extend that line of sight such as an illuminating streetlamp or flashes of lightning on a rainy night. Hence you need to plan your movement properly such that you move from the light into the shadows without being seen. In addition, any loud sound made in the game is shown as an on-screen ripple effect. If an enemy is within that ripple’s boundaries then they will be able to hear it, attracting them to the source. This can be utilized as a way of distracting your enemies using your various weapons, abilities, and surroundings to your advantage. You start the game initially with a few basic skills and weapons such as having access to throwing darts. But as you progress through the game you will gain the ability to upgrade and acquire new weapons. Those upgrades and weapons can be attained through collecting seals which are gained by achieving higher scores within the game’s stages. By the end of the game you will find yourself having a wide array of abilities and weapons to choose from. This further expands the number of ways you can approach the game’s different missions. Another thing that Mark Of The Ninja excels at particularly well is the pacing and diversity of its stages. The game does a great job of keeping you engaged and part of the action throughout its duration. It does that by diversifying it's beautiful level designs and adding in a small mix of puzzle and platforming elements.This keeps the action constantly flowing without making the stages feel tedious at any point. Once you finish the game for the first time you will unlock New Game Plus mode. This mode provides a greater challenge as tougher enemies appear and getting spotted becomes a lot easier. At this point, the game also allows you access to all upgrades and weapons right from the start. There is very little that Mark Of The Ninja does wrong. The most glaring issue being that the Keyboard & Mouse controls on PC don’t feel as good as their controller counterpart. You would sometimes find yourself pressing something only for the game to register it at something else that entirely blows your cover. That's not to say that the controls on Keyboard & Mouse are horrible, but using a controller is definitely going to yield to a much better playing experience. 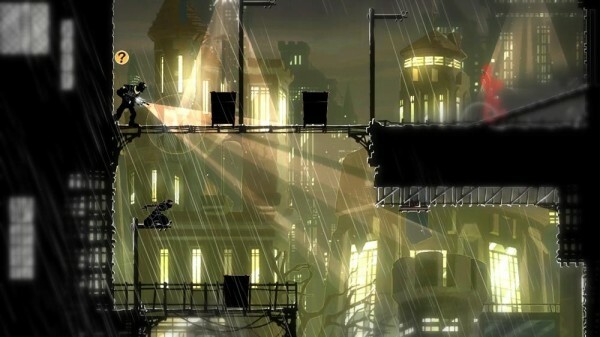 Mark Of The Ninja is a breath of fresh air in a year that saw the release of tons of sequels & Triple A titles. It implements stealth unlike any other game in recent memory and combines a great atmosphere with amazing 2D visuals to create a truly one of a kind experience. Aside from a lackluster story and a few control issues with a Mouse & Keyboard, Mark Of The Ninja stands tall as one of the best downloadable titles that have graced this year's gaming library. I would like to open your eyes to the concept that there are more indie/small budget games released on a yearly basis than there are AAA games. Great review. I've been interested in this game since I saw the first video of it (in the Speedrunning thread) and this only confirms my view that this would be an awesome game to pick up. Yeah, that doesn't mean a lot. Some of them might not be different enough. I know that, but very few of them actually reach the pedigree of titles like Mark Of The Ninja, Super Meat Boy, Bastion etc.